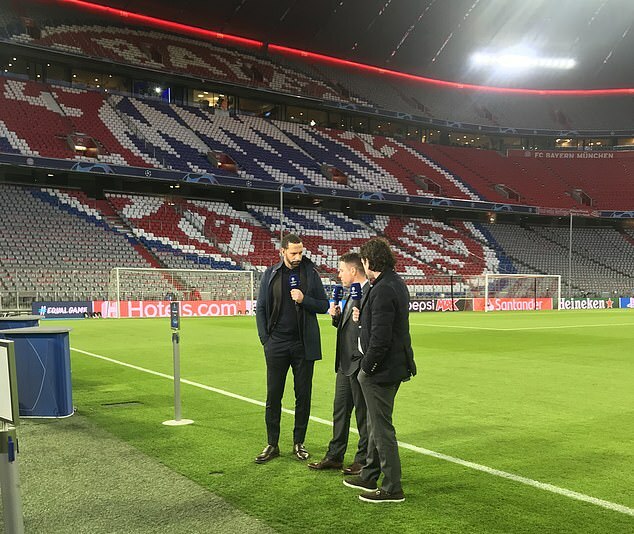 It’s 6pm in Germany, three hours until Bayern Munich face Liverpool in their Champions League knock-out clash and on the sidelines of an empty Allianz Arena, Rio Ferdinand is breathing a sharp sigh of relief. He had just signed off from hosting his first Facebook Live stream for BT Sport, previewing the impending clash between Germany’s league leaders and last year’s Champions League runners-up. And Ferdinand did very well. 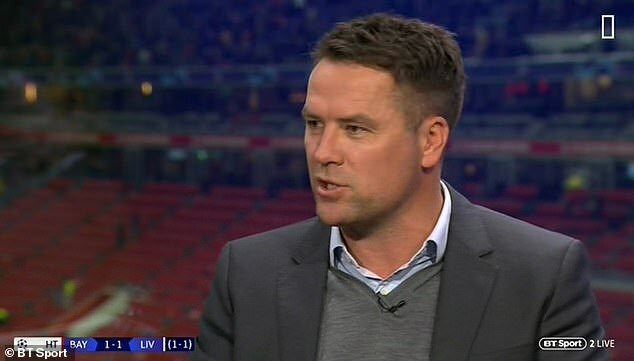 He spoke engagingly, conversation with Michael Owen and Owen Hargreaves rolled fluidly, orchestrated by his subtle prompts for when each should answer. While his relief is understandable, it never felt like it was going to go wrong from behind the camera. 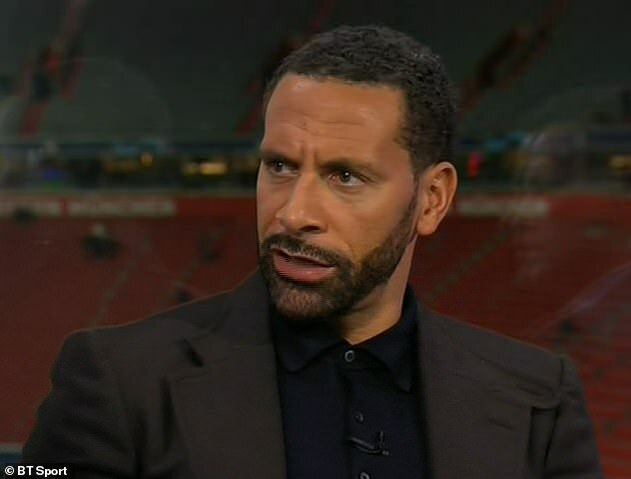 ‘I enjoyed it,’ Ferdinand told Sportsmail afterwards, before adding that he won’t be going after Gary Lineker’s job hosting BT’s Champions League coverage any time soon. Thanks to technology, social media and the billions ploughed into broadcasting live football, punditry has never been better, never been harder and never been more important than at present. Ferdinand and Owen’s former Manchester United and Liverpool team-mates, Gary Neville and Jamie Carragher, took the standard to new heights over at rivals Sky Sports. But pressure doesn’t just come from what other people are doing. BT paid a cool £1.2billion to exclusively show Europe’s elite club competition, and the Europa League, until 2021 in the UK. 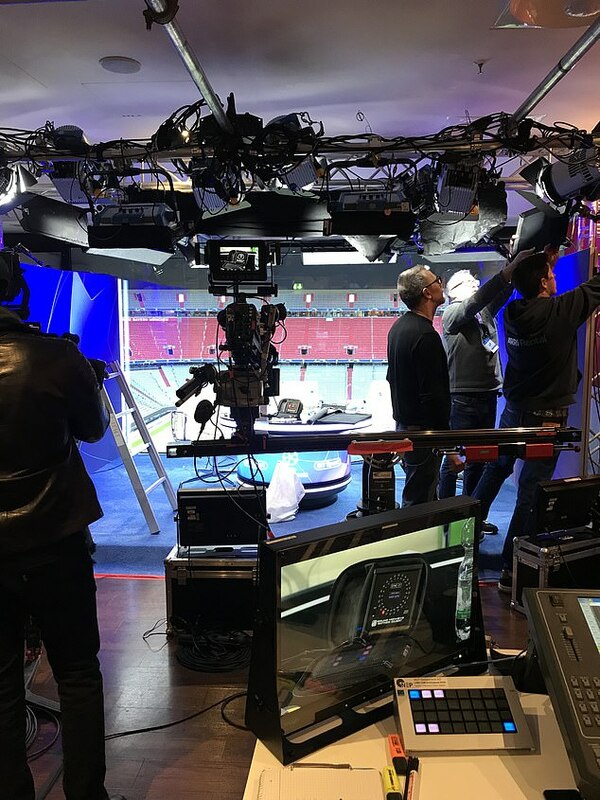 That money is spent before a crew are assembled to travel the continent getting cameras and lighting on point – they start arriving two days before the game – and before Ferdinand, Owen and Lineker (to name a few) are hired to face the coverage. That work is imperative, particularly in the hours before kick-off. 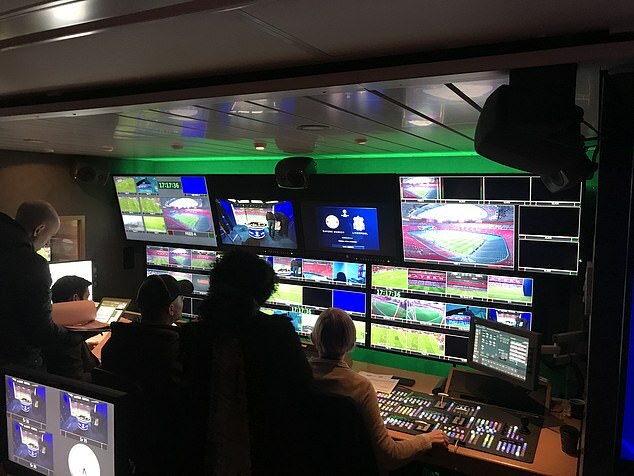 In trucks outside the Allianz Arena, they assess every feed from every camera in the stadium, running through the potential variations in the jigsaw that is broadcasting live football. 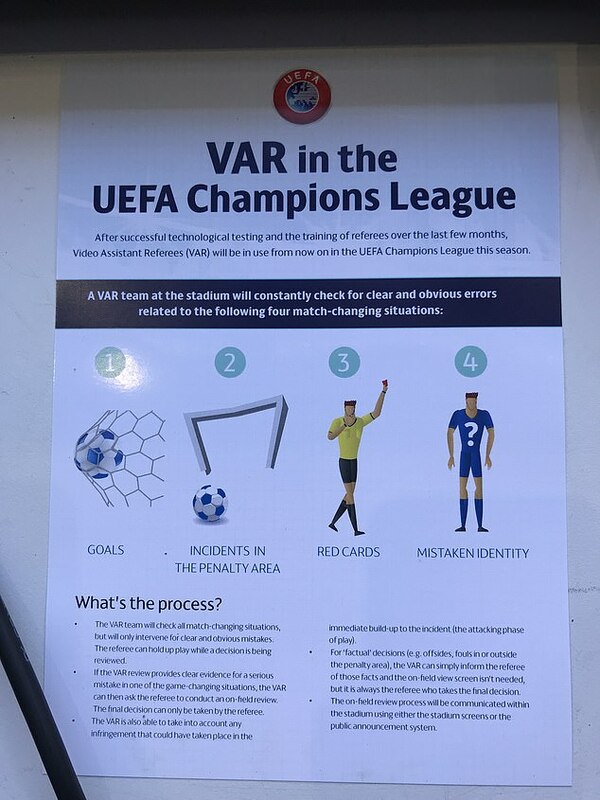 Nothing is left to chance by BT or UEFA, who handily place a sheet re-explaining the rules of VAR next to the commentary positions in the stand. ‘Spinning plates is one way to think of it. Lots of spinning plates,’ says one employee in a brief moment of respite. 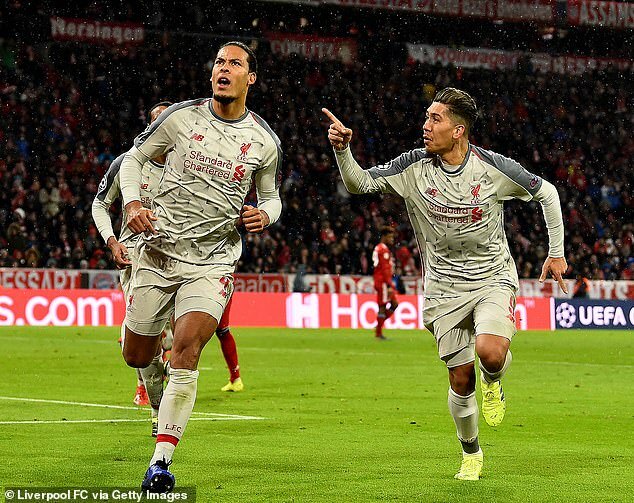 The success of Premier League teams on the continent means BT Sport will have a greater influence than ever before in how people across Europe watch the Champions League. Each country has a main broadcaster that holds Champions League rights and when their respective sides are at home in the tournament, they provide the host feed for the rest of Europe to work off. 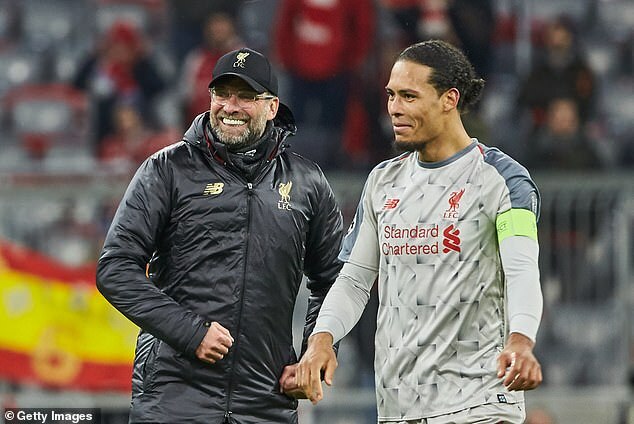 Indeed, Liverpool’s success meant four of the last eight are English, with the ensuing draw meaning five of the eight quarter-final matches will have a host feed provided by BT. In turn, the English presence means Ferdinand and Owen have an even bigger platform where they need to shine. While their playing careers gets them in the punditry chair, once they are there they have to be up to scratch as broadcasters. Whether they are or not is increasingly down to the viewers. Owen experienced this perhaps as bluntly as any ex-player has when he started as a co-commentator for BT. ‘Not the wisest thing,’ Owen says of his first move into the media. ‘People don’t see you smiling, don’t see the passion in your face. ‘Notoriously, it is just a thankless task. It is like being a referee, you can only get stick. Nobody ever says “that co-commentator had a great game”. You can only make the odd mistake and get criticism. ‘I started in that and unfortunately I took a little bit of stick along the way. It is all a learning curve. You are never good at something straight away. I do more and more in front of the camera now in the studio. I enjoy both roles. 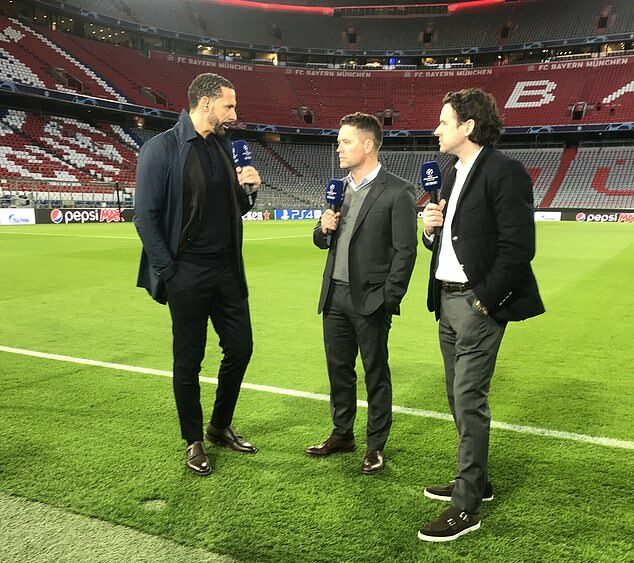 Owen and Ferdinand, with a Ballon d’Or, Champions League and Premier League medals between them, both speak unprompted about how punditry has elevated their self-belief. ‘There’s a confidence in your skin while you’re doing it, an understanding of how you talk, how you address certain situations,’ Ferdinand says. ‘I take my time a lot more now than at the beginning – you feel you are in a rush when you first go on, nerves play their part.